Nick Peterson submitted this photo and caption. As a member of the brass staff of the 2009 Holy Name Cadets, I frequently visited visual rehearsals to keep pace with the members and their visual progress. 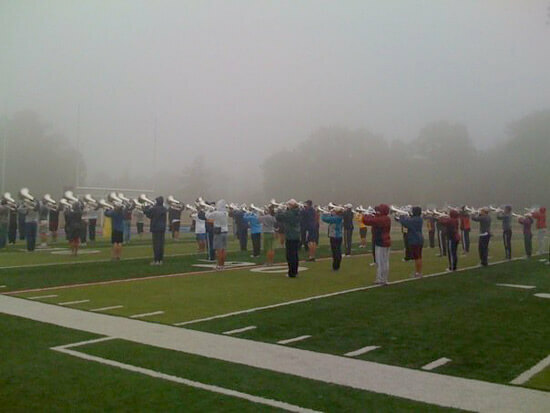 On a particularly cold and wet spring training rehearsal (which happened all too often near Johnstown, Pa.), I felt compelled to capture the phenomenal dedication and persistence of the Cadets horn line working marching basics in the mist.